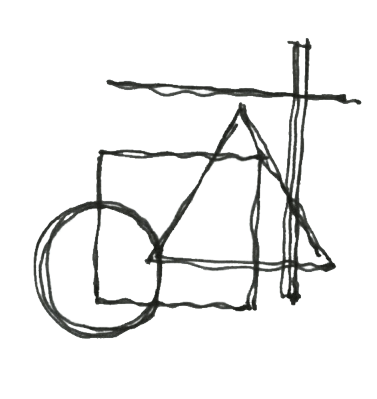 More	Dániel Kovács: What is Bauhaus – in 10 points. And what it is not – in plus 1. 1. Bauhaus was an art and design school founded in 1919 in Weimar which operated later on in Dessau and Berlin until 1933. It’s full German name was Staatliche Bauhaus, „State Building House”. 2. Bauhaus was an indeed unconventional school. It’s logical program, transition between different fields of study, combination of theory and practice in the curriculum, direct contact between lecturers and students made it special and unique at its time. Students had the possibility to try themselves out in a number of various fields of study before choosing one as a concentration. This methodology became a norm of numerous schools in the 20th century. 3. Bauhaus functioned as a true talent pool. School founder Walter Gropius had a good sense of choice at finding colleagues to teach. The Russian Wassily Kandinsky, the Hungarian László Moholy-Nagy, Swiss Paul Klee, German Ludwig Mies van der Rohe taught at the school for a shorter or longer period of time. Among the workshop leaders we can also find world famous characters such as the Hungarian Marcel Breuer architect-designer or the Austrian Herbert Bayer. 4. 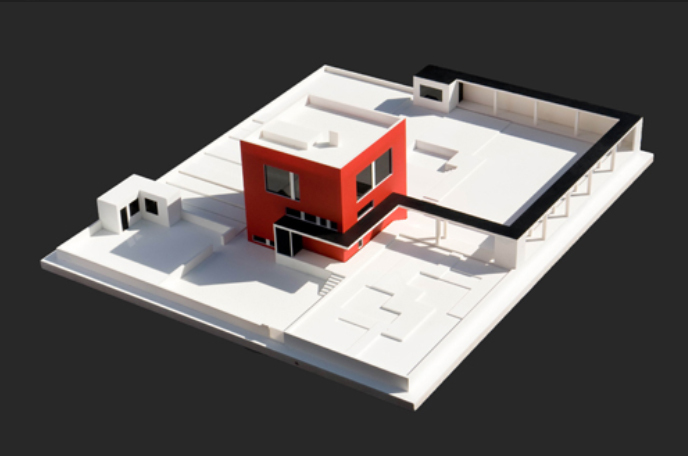 ABauhaus was innovative in various fields of design or could it unfold results of current innovations. Herbert Bayer created here Bauhaus’ universal typography – with no upper case, so did Marcel Breuer his lightweight tubular-steel frames furniture design and Gunta Stölzl experimentalized here with synthetic fabrics in his workshop. 5. First thing that comes to one’s mind for Bauhaus is the school building in Dessau. Financed by the city it was finished in 1926-27 and in its functionality, material choices, mass formation and construction was such a pioneer that it looks like even today as if it was just inaugurated yesterday. As an icon of the 20th century modern architecture the building was inscribed on the World Heritage List in 1996. 6. Although architecture studies started only in 1927 at Bauhaus school, it had the utmost importance in this field. Bauhaus continued the heritage of the pre-World War functional design and became the lead institution of „matter-of-fact” architecture. Architects spread the fame of the school from the US to Tel-Aviv. 7. Cradle of 20th century design is also Bauhaus, where we can find the roots of numerous innovations. The experimental school also influenced theatre, photography, film and even music. 8. 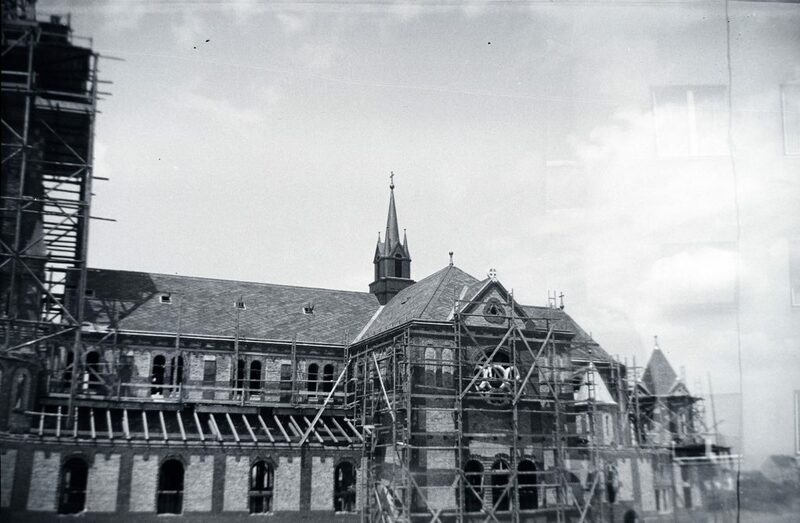 The operation of the school was banned in 1933. László Moholy-Nagy tried to re-open it in 1937 in Chicago. Bauhaus-Archive treasures the richest collection of documents and artifacts related to the school, such as the heritage of Walter Gropius. In Weimar the school taken over by Gropius still operates under the name Bauhaus-Universität since 1996. 9. Bauhaus soon became a brand name as a synonym of simple forms, colours, puritan and functional approach. 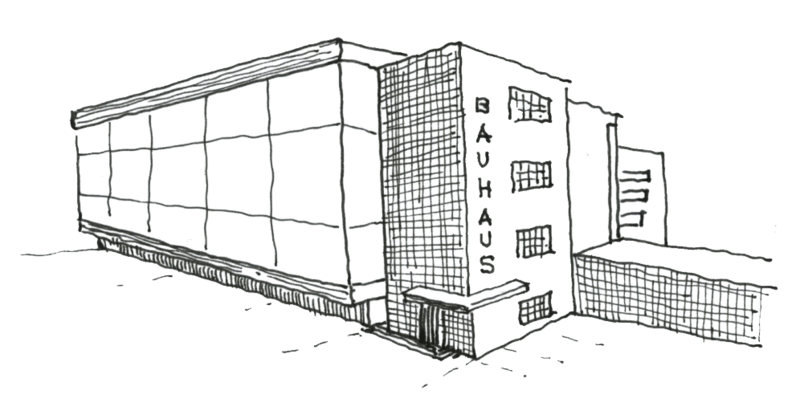 „Bauhaus” became an undisputed attribute in architecture, interior design, design and even in graphic design. When it comes to branding the best example is the German do it yourself store Bauhaus founded in 1960, that has nothing to do with the school (according to the official reasoning the name originates from the name of the founder, Heinz-Georg Baus). 10. Centenary of Bauhaus is celebrated worldwide in 2019. New museums are to be opened in Weimar and Dessau, the opening of the archive in Berlin is delayed and shall only be opened in 2022. Bauhaus Imaginista exhibition aims to map the influence of the school in Japan, Brazil and Moscow. Budapest100 joins the celebration by research and showcase of the values of the capital’s modern architecture. +1. Bauhaus is not a style-name, but also not only the umbrella of ideologies. It became a word commonly used as a synonym for modernity. Although this may be false from the perspective of architecture history, but it is not without precedent. „Baroque” was only used for music for centuries. „Stile Liberty” is the Italian equivalent of secession after the pioneer British interior design store Liberty & Co.. So when it comes to terminology, you are probably wrong, but no one would ever hurt you if you say: this building is so „bauhaus”. How shall I find more on Bauhaus? You can fill up full libraries with Bauhaus. In Hungarian we recommend the books of Nóra Pamer, Éva Bajkay, Krisztina Passuth and András Ferkai. On the occasion of the centenary, Bauhaus100 magazin has been launched – also in English and German, where you can also find the most important events. More	Dániel Kovács: Bauhaus, what has it got to do with me? The question is valid. We already know that the 100-year old Bauhaus was an art and design school in Germany. But why is that important to us? 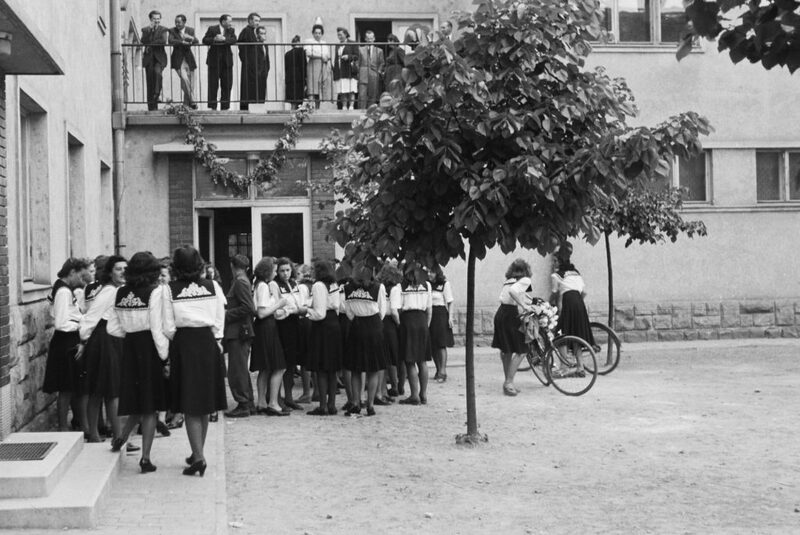 Bauhaus had numerous Hungarian students, talented and less successful ones. Some of them were successful abroad, others returned to Hungary to spread the knowledge about the movement. 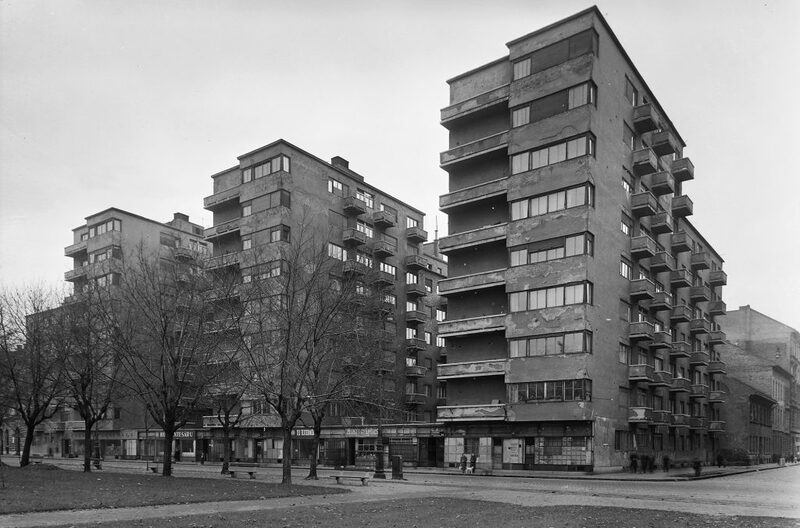 Why were there so many Hungarians in Bauhaus? This is related to the special historical and social situation of Hungary following the First World War. After the unfavourable political situation in 1919, the Trianon Treaty of the First World War, and the takeover of power by governor Miklós Horthy, there was no space for progressive artists in Hungary. Public life and universities became conservative. The „numerus clausus” law (put into force in 1920) limited the number of Jewish students in the universities. 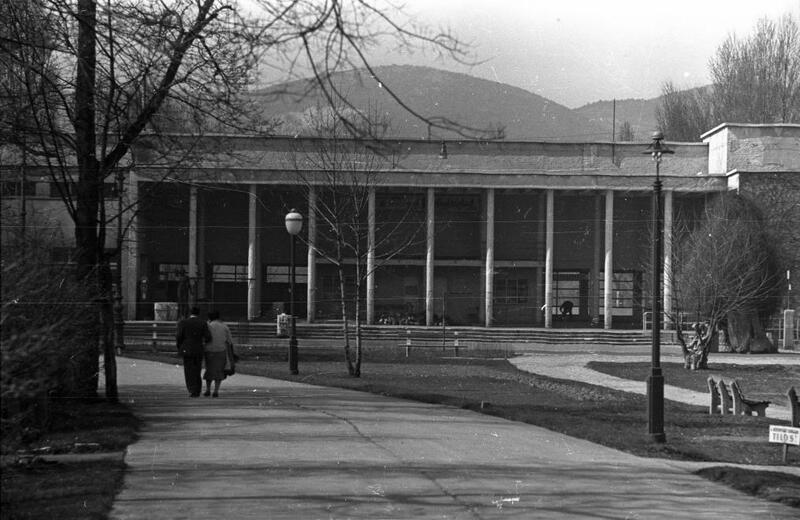 Many were not able to enter the Faculty of Architecture of the Technical University, still, they were informed about the big changes going on in Germany. 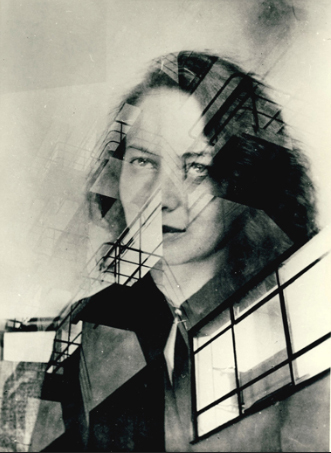 Ms. Margit Téry, (following Johannes Itten, the first professor of Bauhaus from Switzerland) joined Bauhaus already in the first college year. She was followed by Gyula Pap and Marcel Breuer (the latter invited by Fred Forbát, working in Gropius’s studio) in 1920 and they were joined by a significant number of people from Pécs: Farkas Molnár, Hugó Johan, Henrik (Szelle) Stefan, Andor Weininger. László Moholy-Nagy worked in Bauhaus between 1922-1928, until Walter Gropius left. Furthermore, Otti Berger and Marcel Breuer were teachers of the school, while the critic Ernő Kállai, edited the Bauhaus journal in 1928-29. The reputation of Bauhaus was spread by personal relations in the beginning. Later, the effective propaganda and the well-known masters brought more and more new students. The school was a pioneer having a great number of women among its students. 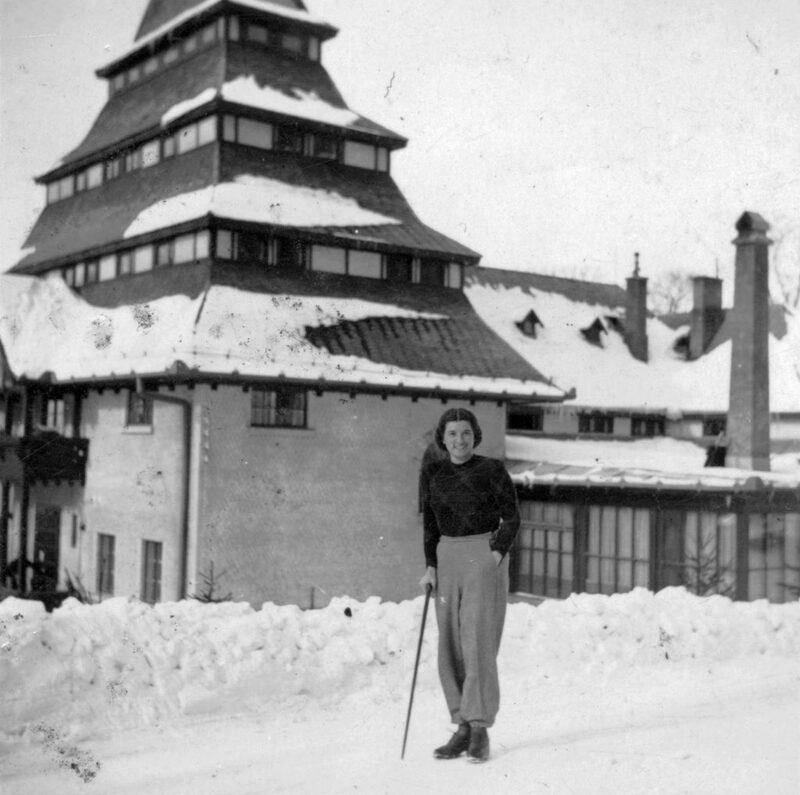 Only to name a few: Ms. Etel Fodor and Masa Baranyai in 1929, Zsuzsanna Bánki in 1930, finally, in 1931 Irén Blüh and Zsuzsa Markos-Ney attended the Bauhaus school. 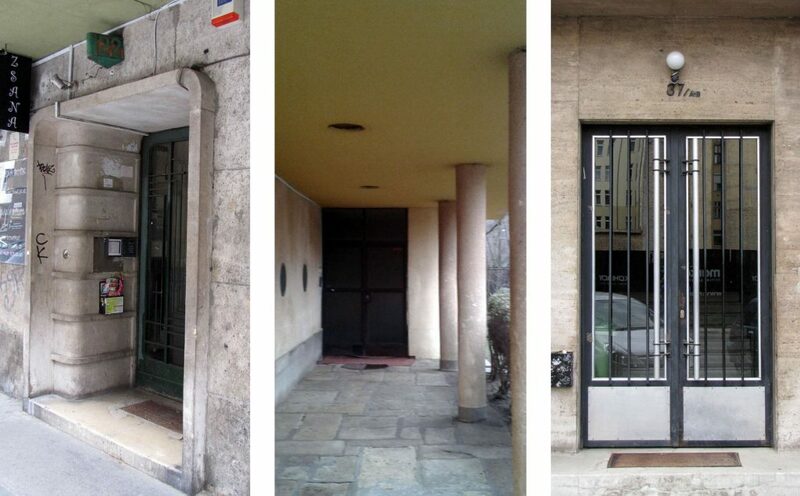 People around Bauhaus transmitted the Bauhaus-idea in many ways towards Hungary. 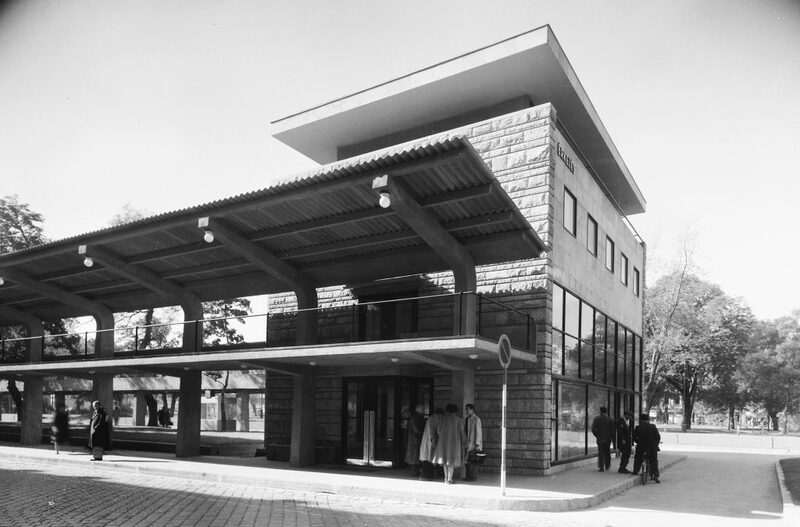 Farkas Molnár became the head of CIRPAC (group of progressive architects) and cooperated with Marcel Breuer who returned to Hungary as well. 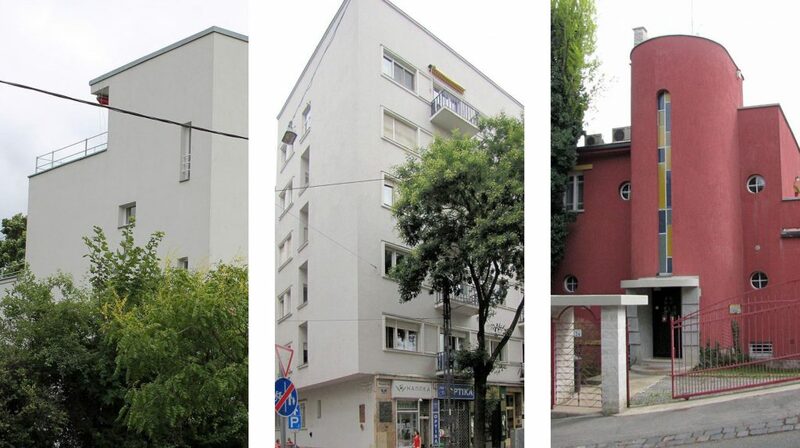 Etel Fodor and his German husband, Ernst Mittag moved back to Pécs, they’ve built the first Bauhaus family house there. Fred Forbát was also working in Pécs in the years 1933-1938. Zsuzsanna Bánki opened his design studio in Győr. Sándor Bortnyik, active in Weimar between 1922-1925, established his free art school in Budapest called „Műhely” (workshop) in 1928, following Bauhaus philosophy until 1938. Towards the end of 1930s, many of the Bauhaus followers left the country, those who remained were threatened by World War II. Zsuzsanna Bánki and Otti Berger died in a concentration camp, Farkas Molnár was killed by a bomb. 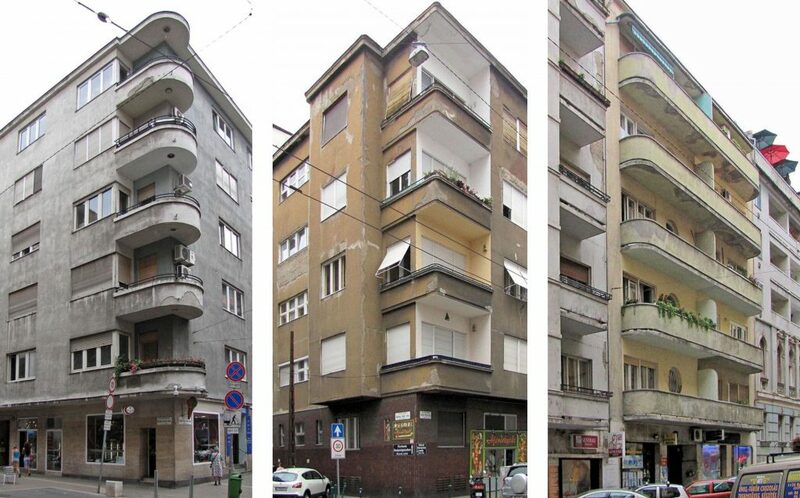 The Bauhaus atmosphere, following World War II, was kept alive by Tibor Weiner, the returning former architecture student, and Gyula Pap, professor of the University of Arts. Where to get more information? The best summary about the subject is the catalogue of the the exhibition „Hungarians in Bauhaus” (2010) organized by the Janus Pannonius Museum and the Bauhaus-Archiv in Berlin, plus there are several publications about the world famous designers László Moholy-Nagy and Marcel Breuer. A „bauhaus” Budapest legnépszerűbb építészeti stílusa – legalábbis ha a lakáshirdetéseket nézzük. Főként az ingatlanügynökök tehetnek arról, hogy a bauhaus a tág értelemben vett modernizmus jelzőjévé vált Magyarországon. Edzettebb városlakók azonban tudják, hogy az ingatlanpiaci eufemizmusok óvatosan kezelendők: a „dinamikusan fejlődő környék” jellemzően közveszélyes lepattantságot, az „igényeseknek” megfizethetetlen árakat, a „párizsi kilátás” pedig a szomszéd ház parabola-antennáit jelenti. Úgyhogy nézzük csak meg, mit is jelenthet a bauhaus ebben a kontextusban! Szigorúan véve Budapesten, illetve Magyarországon nincs a Bauhaushoz, azaz a németországi művészeti iskolához közvetlenül kötődő épület. A legközelebb ehhez azok a házak állnak, amelyeket egykori tanítványok terveztek az iskola elveit szem előtt tartva – Molnár Farkas budapesti, vagy Forbát Alfréd pécsi épületei, illetve a rövid időre a mecseki városban letelepedő, Bauhaus-diákból lett házaspár, Fodor Etel és Ernst Mittag saját tervezésű családi háza. 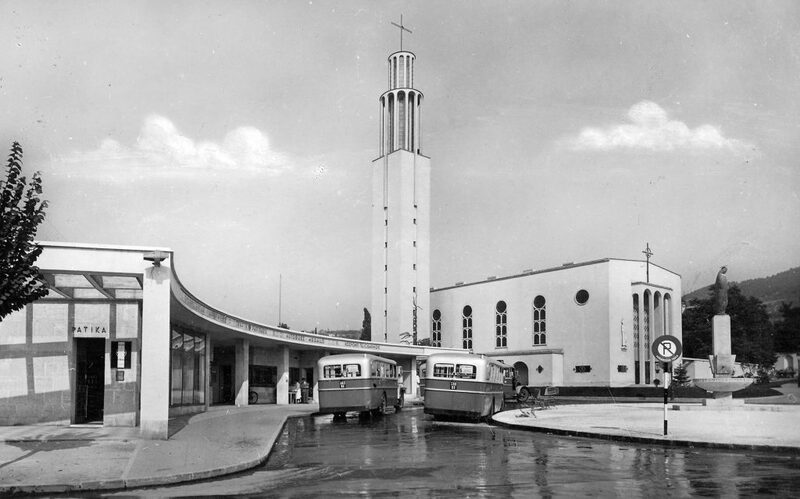 (A Bauhaus magyar vonatkozásairól írtunk korábban.) Ha viszont az ingatlanportálok csak ezeket bauhausoznák le, viszonylag gyorsan kifogynánk az alapanyagból. A felületes szemlélőnek is feltűnhet, hogy vannak budapesti negyedek, ahol az indokoltnál messze gyakrabban kerül elő az inkriminált b-betűs szócska. Mindenekelőtt Újlipótváros (korabeli, mára kevéssé ismert nevén Szentistvánváros) és a Lágymányos (szintén korabeli, majd 2007-től újra hivatalos nevén Szentimreváros). Mindkét terület nagyrészt a két világháború között, zömmel az 1930-as években épült ki, némi eufemizmussal élve Újlipótváros a polgári, míg a mai Újbuda a nemzeti érzelmű középosztály lakhelyeként. Ez még ma is látszik a lakóházak titulusain, az utcaneveken, de még a lakosságot kiszolgáló intézményrendszeren is. Újlipótváros spekulatív lakóházakkal telezsúfolt utcái közé a Fővárosi Közmunkák Tanácsának kellett beszorítania egy parkot, Szentimrevárosban viszont egymást érték az egyházi beruházások: a Feneketlen tónál álló ciszterci templom, Medgyaszay István beszédes nevű Magyar Advent református temploma, az eldugott kelenföldi evangélikus templom, sőt, az 1936-ban felépült zsinagóga. A két közismert, a korszakot szépen reprezentáló városrész mellé nyugodtan odatehetjük Pasarétet is, amely ebben az időszakban vált kedvelt villanegyeddé – igaz, a leendő tulajdonosokat azért valamivel az előzők fölé pozicionálva. Az itt épült intézmények, például a Budai Tornaegylet új székháza (ma a Vasas otthona), vagy a Pasaréti téri ferences templom, kolostor és buszpályaudvar harmonikus együttese már stílusukban is azt a nemzetközi tájékozottságon nyugvó modernitást mutatjuk, ahol akár indokolt is lehet a Bauhausra való asszociálás. Folytatva a jellemző környékeket, a kor sajátos együttesei közé tartoznak az ún. „bauhaus utcák” – ismét az ingatlanos szlengből vett kifejezéssel élve. Ezek a harmincas években a Fővárosi Közmunkák Tanácsa által kezdeményezett telek-áttörések révén jöttek létre, összekötve két párhuzamos, korábbi utcát. Az így kijelölt új telkeken jellemzően néhány év alatt, különböző építészek munkája révén, de egységes hangulatú házsorok jöttek létre. Jó példa erre a VII. kerületi Barát utca, a XII. kerületi egykori Németvölgyi udvar (ma Hollósy Simon utca) vagy az V. kerületi Fejér György utca. Az itt álló épületek jó eséllyel kerülnek a hirdetésekre „bauhaus házként”, dacára esetenként egy-két barokkos homlokzati cirádának vagy cikkcakknak. Most, hogy a pár szóba vehető környékkel megismerkedtünk, ugyancsak a teljesség igénye nélkül nézzünk meg néhány hangsúlyos jellemzőt, amiről a kor budapesti modern épületei jó eséllyel azonosíthatóak! Markáns geometrikus tömegek, kevés vagy teljesen hiányzó díszítéssel. Szemben a historizáló vagy a szecessziós házakkal, a modern építészetben a tömegformálás sokkal hangsúlyosabb. Nem véletlenül kezdték el a korai modern építészek első munkáit Budapesten „skatulyaházakként” emlegetni. A csupaszon hagyott homlokzati sávokról, a lapostetőről vagy épp a félhengerként kiálló lépcsőházakról a korszak épületei még ma is könnyen azonosíthatóak. Erkélyekkel, loggiákkal dinamikusan tagolt homlokzatok. Az erkély a modern építész mániája. Függetlenül attól, hogy a ház parkra vagy hatsávos autóra néz, erkélyre, ahol a szerencsétlen városlakó magába szívhatja a természet friss levegőjét, szükség van. (Na jó, a kor autóforgalma aligha összehasonlítható a maival.) Az iróniát félretéve, a háztömbnek lendületes megjelenést kölcsönző, a masszív tömböket ritmikusan felbontó erkélysorok ugyancsak a modern építészet kedvelt elemei. Bár az ingatlanpiac már abban a korban is a felfelé terjeszkedésre ösztökélt, a korszak épületeire (legalábbis a megelőző korokhoz képest) jellemző a horizontális tagolás. Ezt részben a nyújtott arányú ablakok indokolják, de az erkélyek betonkorlát-sávjai vagy – villák esetében – az épület tömege is erősítheti a horizontális hatást. Kevés eszközzel, de igényesen kialakított bejáratok és kapuk. 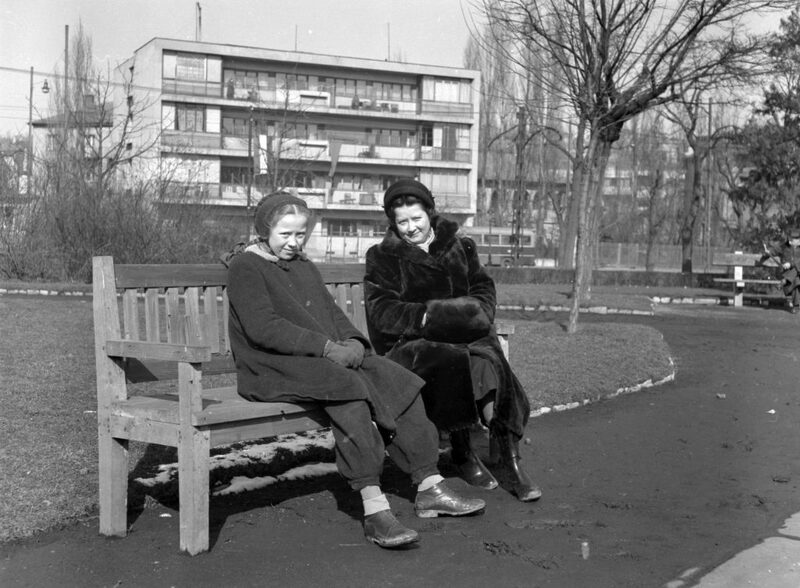 Ez a jellemző inkább az utókortól, azaz az 1960-as években visszatérő modernizmus házaitól különbözteti meg a két világháború közötti időszakot. Ekkor még sokat számított, hogy a lakó pontosan min és hova lép be. A gondos munkával készült fa- vagy fémkapuk mögött gyakran nemes kővel, márvánnyal burkolt előcsarnokok várnak, igényesen kialakított lakónévtáblákkal, világítással, világos lépcsőházzal. Valamiért mára a modernséget egyértelműen a fehérrel kötjük össze, pedig eredetileg sokkal több volt a játék a színekkel. A történelem hányattatásai miatt mára kevés eredeti példát találunk Budapesten, de elszórtan azért akadnak.A fenti szélső képeken ennek az élénk verzióját látjuk, középen pedig egy eredetileg is fehérre vakolt modern házat. Most akkor bauhaus vagy sem? Igazából nem az elnevezés a lényeg: az ingatlanos szaknyelvben a bauhaus azt az életérzést jelenti, ami a modern házak hangulatával jár. Egy olyan kor iránti nosztalgiával, amely praktikus és funkcionalista módon, de azért a privát teret és az egyéni igényeket tiszteletben tartva volt képes lakást biztosítani – legalábbis az „igényeseknek”. A fényképeket a szerző készítette. Nyitókép: nem Bauhaus, de mégis: Major Máté Sasfiók utcai háza, amely annak ellenére az iskola hatását mutatja, hogy Major sosem járt a Bauhausba. Museum of Contemporary Art Zagreb, Croatia 10 January – 21 April 2019 On the occasion of Bauhaus centenary the Museum of Contemporary Art in Zagreb is organising a multisensory exhibition Josef and Anni Albers: Voyage Inside a Blind Experience. The exhibition is a result of an international cooperation between Atlante Servizi Culturali, Josef and Anni Albers Foundation, and l’Istituto dei Ciechi di Milano. Besides Zagreb, exhibition will be shown at Santa Maria della Scala Museum in Siena, and The Glucksman Gallery, University College Cork, Ireland. The project VIBE has been co-financed by the Creative Europe Program of the European Commission. The exhibition features 63 works of Josef and Anni Albers, one of the leading pioneers of twentieth-century modernism and key figures in the development of abstract art and art education in the world. Extremely valuable pieces, borrowed from Josef and Anni Albers Foundation (Connecticut, USA), offer a survey of their work spanning from the early studies made in 1920s to oil paintings and graphics from 1960s and 1970s. This is the biggest exhibition dedicated to the famous couple in the region. The exhibition includes pieces from the Josef Albers’ most famous cycle Homage to the Square and some of the textiles by Anni Albers, who always emphasized how textile, both in its functional role and as a wall decoration, should be considered as artistic form. Exhibition is adapted to blind and visually impaired people. All 63 works will be accompanied by the tactile reproductions which will enable visitors to examine them through touch and hearing. A Bauhaus nyomában járva az idei Budapest100 górcső alá veszi a modern építészet fővárosi emlékeit, a húszas évek végétől a negyvenes évek végéig. A válogatás csak látszólag tűnik magától értetődőnek. A korszak architektúrája egyedülállóan sokszínű, és mielőtt május elején elindulunk modern házakat nézni, érdemes megismerkedni azzal a történeti kontextussal is, amiben ezek létrejöhettek. A modern maga sem egységes. Sokkal inkább olyan, mint egy kaleidoszkóp, ami mindig azt a részletet nagyítja fel, amire fókuszálunk. Ha art déco jellemzőket keresünk a budapesti építészetben, könnyen megtalálhatjuk őket. Ha a Bauhaus nyomait, ugyancsak. De ha a historizálás történetét akarnánk összerakni, abba is beilleszthetünk sok, ma modernistaként ünnepelt mestert Kozma Lajostól Györgyi Dénesig. Hiba lenne egységes csoportként tekinteni Budapest modern építészetére: ezeket az épületeket és tervezőket történelmi fordulatok, gazdasági kényszerek, személyes döntések és preferenciák is befolyásolták. Színesebb a helyzet annál, mintsem hogy egyetlen jelzővel le tudnánk írni. A háború és a trianoni sokk utáni Magyarország alapvetően elzárkózott a minden rossz forrásának tekintett modernitástól. „Szovjetáru” – fogta rá a képviselő-építész Petrovácz Gyula a pasaréti templom Rimanóczy Gyula készítette, modern terveire. Ennél negatívabb jelzőt aligha találhatott volna. A húszas években a hazai építészetet, Budapestet pedig különösképp, a nosztalgikus neostílusok uralták. A Szekfű Gyula definiálta „neobarokk társadalom” olyan építészeti alkotásokban öltött testet, mint a Feneketlen tónál felhúzott ciszterci együttes, a Szent Margit Gimnázium vagy a jómódú kormánytisztviselők cirádás magánvillái. A kis tehetségű, de hangyaszorgalmú Fábián Gáspár vagy az említett Petrovácz befolyásos egyházi megbízóknak köszönhetően váltak széles körben ismertté. A historizálás nagymestereit: Foerk Ernőt, Hültl Dezsőt, Kismarty Lechner Jenőt vagy Wälder Gyulát a szakma legkomolyabb pozícióival tisztelték meg. Wälder közmunkatanácsi tag, Hültl műegyetemi rektor; Kismarty Lechnert az építőipari pangás közepén megbízták a Nemzeti Múzeum felújításával. A historizálással szemben a húszas évektől egyre többen keresnek határozott, jellemzően egyéni utat. A tájépítészként is dolgozó Rerrich Béla a szegedi Dóm térrel, vagy a debreceni Borsos József a téglaépítészetben találja meg a kiutat. Györgyi Dénes gyönyörű art déco épületeket tervezett Magyarországnak a világkiállításokra. Medgyaszay István a politikai turanizmus legfontosabb művészi letéteményeseként rajzolta technikai innovációt és indiai motívumokat ötvöző házait. A szintén debreceni Sajó István az amerikai art déco hatását közvetíti a városban. Budapestet azonban a nagy historizáló építészek tartják markukban, még hosszú éveken keresztül. A progresszív művészek frontja ezzel szembeszállva válik a húszas évek végére mind egységesebbé, legkomolyabb fegyvereként az 1928-tól önállósuló Tér és Formával. 1929-ben alakul meg a nemzetközi modern építészeti szervezet, a CIAM magyar szekciója, CIRPAC néven. 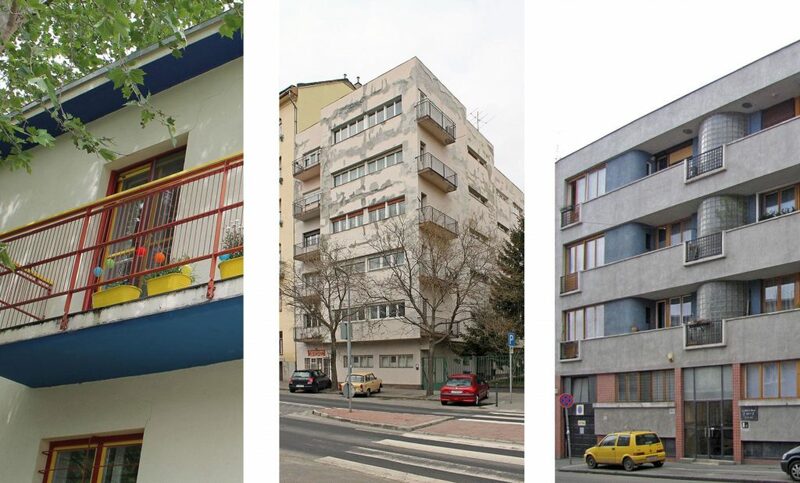 Vezető alakjai: Molnár Farkas, Fischer József, Rácz György, Preisich Gábor, Révész Zoltán a Bauhaus elveit vallják magukénak. 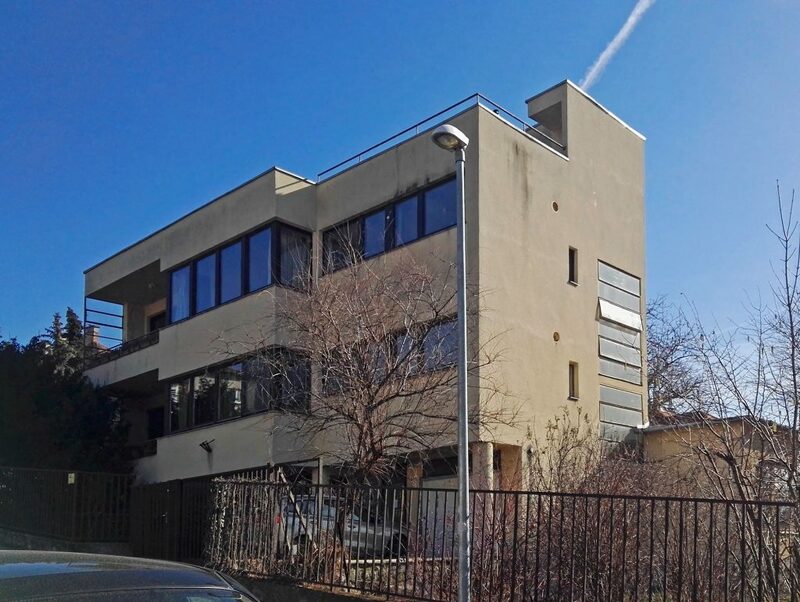 Ez elsősorban a hangadó szerepet vállaló egykori Bauhaus-diáknak, Molnárnak köszönhető. Megbízásokat azonban a következő években jellemzően csak kisebb munkákra: villákra, magánházakra kapnak. Áttörést 1931-ben a magánerőből épülő Napraforgó utcai kislakásos telep, a középítkezéseknél pedig az Országos Társadalombiztosító Intézet bérházpályázata hoz, amelynek nyomán felépül a mai II. János Pál pápa tér hatalmas, hármas sávépülete. Ezt bár követi ugyan néhány fontos megbízás, de a CIRPAC így is kívülálló marad a hazai építészetben. A korai modern eszköztára gyorsan kimeríthetőnek bizonyult, így a progresszív építészek a harmincas évek második felére unni kezdik magukat, és más inspirációs források után néznek. A romantikus modern irányzatának fontos jellemzője a durva textúrákhoz, a mesterkéletlenséghez való vonzódás: a természetes anyagok, a tégla, a terméskő, a fa használata. Az irányzat legszebb műveit a következetes önállósággal dolgozó idősebb Janáky István építi: a Palatinus strandépület meszelt téglahomlokzata, a XI. kerületi tűzőrség rusztikus falai ma is erre emlékeztetnek. Az irányzat több modernista számára jelent menedéket, Weichinger Károlytól Masirevich Györgyön át Molnár Farkasig. Magyarországon különösen jelentős a korabeli itáliai építészet hatása; ezt egy-egy szerencsés kiválasztott, mint Árkay Bertalan, akár személyesen is megtapasztalhatta a Római Magyar Akadémia ösztöndíjasaként. Mussolini Olaszországa, ahol a Harmadik Birodalomtól eltérően számos haladó művész és építész is megtalálhatta a számítását, erős példaképnek számított a magyar szakmabelieknek – a Tér és Forma szerkesztője, Bierbauer Virgil több cikkben dicsérte a kor itáliai építészetét. Az időszak kutatója, Ordasi Zsuzsa egyes budapesti épületeken konkrét római hatásokat fedez fel – az óbudai Árpád Gimnáziumon, Hidasi Lajos és Papp Imre munkáján. Az Olgyay-ikerpár óbudai városrendezési terve Róma új sugárútjainak ihletésében készült, Bierbauer grandiózus koncepciója az Aranyhegyhez tervezett Nemzeti Stadionhoz pedig a római Foro Mussolini sportközpontból merít sokat. Ez utóbbin a római előképek mellett akár az Albert Speer koncepciója alapján javában épülő nürnbergi Birodalmi Pártnapok nagyszabású rendezvényhelyszínének hatását is felfedezhetjük. Nem véletlenül: bár erről a történetírás kevésbé vesz tudomást, a harmincas évek végére a magyar építészszakma egy része szimpatizált a Harmadik Birodalom építészetével is. Ennek már Gömbös Gyula rövid miniszterelnöksége idején is mutatkozott jele: ekkor rendezték meg német mintára az első országrendezési ankétot. Míg azonban a grandiózus vízióknak kevés táptalaj kínálkozott minálunk, annál népszerűbbnek bizonyult a náci építkezések egy részénél divatos tradicionalista modernizmus, amire jó példa Hitler berchtesgadeni rezidenciája és az ahhoz kapcsolódó Sasfészek. A funkcionalizmus és a népi hagyományok ötvözéséhez jó alapnak számítottak azok a kutatások, amelyeket egy fiatal építészcsapat a harmincas évek eleje óta végzett a magyar vidéken. A Magyar Ház Barátainak köréből jött az a Padányi Gulyás Jenő, aki az 1940-ben alapított Építészet folyóirat főszerkesztőjeként a tradicionalista modernek hangadójává lett. Saját munkáinak egy része – így például a Lónyay utcai Református Gimnázium épülete – az irányzat legfontosabb emlékei közé tartozik. Országgyűlési képviselőként és harciasan nemzetieskedő pamfletek és kiáltványok szerzőjeként Padányi Gulyás okkal számíthatott arra, hogy a háború végeztével komoly pozíciók várnak rá – akárcsak eszmetársai, Tömböly Dénes vagy R. Nászay Miklós. Ez nem így lett. A háború végeztével ők elhagyták az országot. Mások, például az egykori Bauhaus-diák Weiner Tibor, viszont hazajöttek. Megint mások végre előbújhattak a rejtőzésből. És megint mások egyszerűen csak élvezni kezdték a szabadság rövid illúzióját. A negyvenes évek végén megindult építkezések máig álló eredményei: az Erzsébet téri egykori buszpályaudvar, a MÉMOSZ-székház vagy a Magyar Rádió Pagodája erről az önfeledt időszakról: a visszatérő érett modernizmus erejéről tanúskodnak, a rövid életű második köztársaság mementóiként. More	Kovács Dániel: Beszéljenek az építészek! Az idei Budapest100 „A Bauhaus nyomában” mottója kapcsán esett szó már a modern építészet tágabb fogalomköréről, a német iskola egykori magyar diákjairól és oktatóiról, de megszólaltattuk az ingatlanost is. Egyvalaki nem jutott szóhoz: az építész! Pedig nincs jobb forrás a kor gondolkodásmódjáról, mint a kor szakmabelije – aki sokszor nem fékezte sem lelkesedését sem iróniáját a modernizmus kapcsán. Az alábbiakban összegyűjtött idézetek kínálnak bepillantást a magyar építészet két világháború közötti történetébe és stílusváltásaiba, a leginkább illetékesek szavain keresztül. Az író és politikus Pekár Gyula 1919-től egészen 1937-ig a volt Turáni Társaság elnöke. 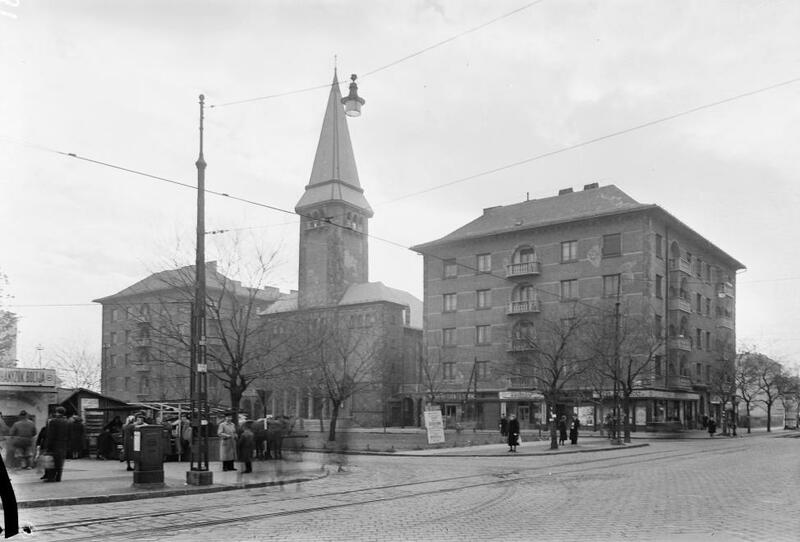 1922-ban államtitkári pozícióból kezdeményezte egy, az állami beruházásokat koordináló, tanácsadó hivatal létrehozását, azzal a céllal, hogy nemzeti építőművészeti stílus jöhessen létre, keleti alapokon. Jelenlegi tudomásunk szerint a hivatal végül nem valósult meg, és a turanizmushoz is csak néhány épület köthető konkrétan. A korszak befolyásos építész-politikusa, Kertész K. Róbert írja mindezt az 1925-ös párizsi világkiállítás szovjet pavilonjáról, Konsztantyin Melnyikov valóban úttörő munkájáról. Az értetlenséget persze magyarázza, hogy Kertész K. Róbert ezidőtájt épp a gödöllői premontrei iskolakomplexum habos-babos neobarokk tömbjén dolgozott (ma a Szent István Egyetem főépülete). Az idézetből azonban az is kiviláglik, hogy a modern szemléletet alapvetően politikai okokból utasították el a húszas évek Magyarországán. Kertész K. később engedett a szigorból – áll háza a Napraforgó utcai kísérleti lakótelepen is. 1930-ban, amikor a fiatal Komor János, a Tér és Forma társszerkesztője ezt írja, Csehszlovákia modern építészete már egyértelműen elhúzott Magyarország mellett. Komor, aki maga is tehetséges építész, és nem mellesleg a legendás Komor Marcell fia, pontosan látta ennek okait. A széles látókörű, kiváló építész, Árkay Aladár 1926-ban írja mindezt, gyakorlatilag a kialakuló, nevében is „nemzetközi” modernizmus definíciójaként. Árkay tudta, miről beszél: korai munkáival, de kiemelten a Városligeti fasor gyönyörű evangélikus templomával maga is kísérletet tett a nemzeti formanyelv kimunkálására. 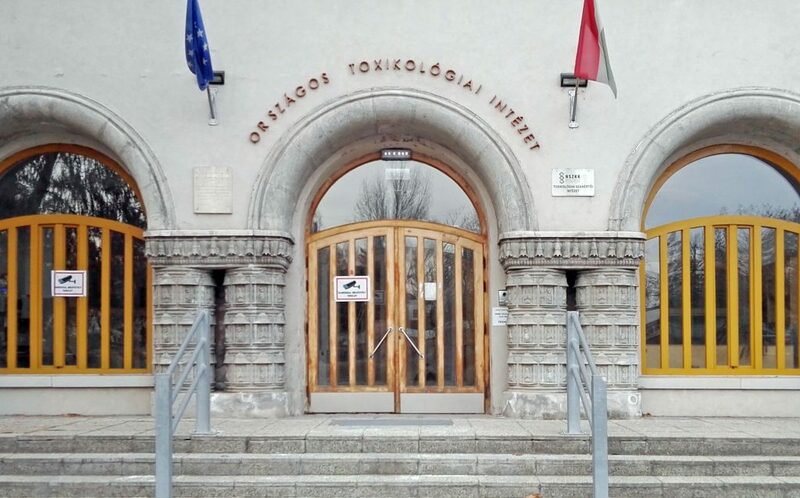 Nem sokkal a fenti sorok papírra vetése után fiával közösen tervezi a főváros úttörő, modern katolikus templomát a Városmajorban. Ifjabb Masirevich György a modern legkorábbi magyarországi hívei közé tartozott – már egyetemistaként olyan kiállítást szervezett a hallgatók munkáiból 1927-ben, amelyen Molnár Farkas és Rácz György modern tervet állítottak ki. Masirevich megrovást kapott ezért a merész tettért! Ezzel együtt lediplomázhatott; 1930-re elkészült balatonszántódi üdülőháza az egyik legkorábbi magyar modern ház. Néhány éven belül azonban kissé kiábrándult az irányzatból: később munkái, például a Visegrádi utcai rendelőintézet, már megfontoltabb, klasszicizálóbb vonalat képviselnek. Petrovácz Gyula építész, fővárosi képviselő még 1922-ben teszi a fenti kijelentést, de a következő évtizedekben is tartja magát hozzájuk. Az igen befolyásos, magas egyházi körökben mozgó építésznek majdnem sikerül megakadályoznia Rimanóczy Gyula pasaréti templomának felépítését – saját munkái, például a Szondi utcai vagy a Kassai téri templomok jól mutatják konzervatív szemléletét. A modernizmus híveinek a harmincas évek Magyarországán a hozzá hasonló bölényekkel is meg kellett vívniuk. A legfiatalabb generáció lelkes hangja szólal meg az 1912-ben született Déman Pálon keresztül, aki a fenti sorokat még egyetemi hallgatóként veti papírra egy, a nemzeti építészet mibenlétéről szóló diskurzus részeként. Ekkoriban, a harmincas évek elején lelkesedik a legtöbb progresszív építész a Bauhaus hatásáért – pedig magát az iskolát 1933-ban végleg bezárják. Nádai Pál, a kor kiváló kritikusa itt is a tőle megszokott éleslátásról tesz tanúbizonyságot. 1934-re a weimari idők sokszínűsége eltűnik a német építészetből, de nem sok van hátra a modernizmusnak sem: pillanatokon belül átveszik az uralmat a Harmadik Birodalom támogatott irányzatai. Ezek körül ha Albert Speer klasszicizáló monumentalizmusa nem is hat különösebben a magyar építészekre, a tradicionalista, népi alapokon nyugvó modernizmus annál inkább. Medgyaszay István a kor neves és kedvelt építésze, aki bár Otto Wagner tanítványaként a vasbeton-építészet hazai úttörőjének számított, a nemzetközi modernizmust sosem kedvelte meg. Ehelyett egész életében egy sajátos, indiai és közel-keleti alapokra helyezett építészeten dolgozott. Ebben a szigorú szövegben is a harmincas évektől megerősödő népi irányzatok mellett teszi le a voksát. A harmincas évek végére megszaporodtak a hasonló, a vidék „tiszta, romlatlan” építészetében a jövőt látó próféták – és egyre kevesebben kérték rajtuk számon a konkrétumokat. R. Nászay Miklós, a negyvenes évek meghatározó szakpolitikusa ugyancsak a népi irányvonal híve. Ártatlannak tűnő mondatai mögött azonban a fajelmélet sötét szörnye bujkál. Nászay határozottan szimpatizált a Harmadik Birodalom építészetével. „A magyar építész népi küldetésének teljessé tételére semmi áldozat sem elég” – jelenti ki ugyanitt. Rihmer Pál a kor kevés tisztán látó és véleményét felvállaló szakemberének egyike. Idézett 1938-as cikkéből határozottan kiderül ellenszenve a német törekvések felé. Ez később, 1942-ben még élesebbé válik, amikor visszaadja minden tisztségét a Padányi Gulyás Jenő szerkesztette Építészet folyóiratban, mert ellenzi a „népi építőformák glorifikálását”. A háború után Granasztói Pál néven a magyar urbanizmus legendás alakjává lesz. The Bauhaus centenary is celebrated this year all around the world but if you feel like you’re not quite sure about this word that sounds more like a miswritten version of ‘Boho’ rather than something artistic... then this article is made for you! 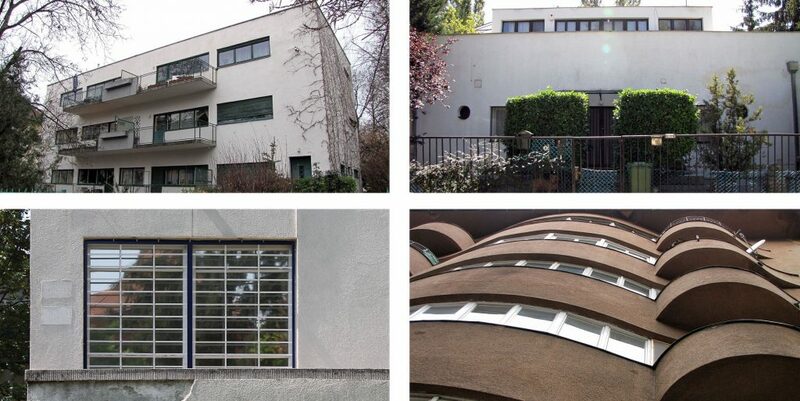 After reading this for 5 minutes, you’ll be a Bauhaus expert! First of all, let’s paint a quick portrait of what we call ‘Bauhaus’: The Bauhaus was a German art school established by German architect Walter Gropius in 1919 and shut down by the Nazis in 1933. A founding idea of this institution was to design and create differently, by experimenting and by combining arts, crafts and industry (translation: turning a great design into serial production; industrial design). Bauhaus is also a utopian artistic movement which strived for to improve people’s lives through architecture, design, photography, theatre, painting, dance, etc. Now that you’ve got the fundamentals, let’s have a deeper look in the Bauhaus: Let’s first begin with the essence of the Bauhaus : the school. Its founders had the will to create something innovative. They wanted to combine multiple forms of art to lead to the creation of something new and complete. The school itself was questioning the established teaching methods of the time. Walter Gropius invited many famous artists to take part in this adventure. That is how, the school could count on Johannes Itten, László Moholy-Nagy, Josef Albers, Paul Klee and Vassily Kandinsky to practice as teachers. As a student, you were brought to learn about many different materials very specifically in order to choose the path in which you would blossom. After the first year of ‘general knowledge’, the students could choose between several ‘studios’ to continue their education where they could learn about metal, ceramics, woodworking, textiles, glass, mural painting, theatre and architecture. Why does Bauhaus sounds so familiar to all of us, then? When we talk about the Bauhaus, we might think about architecture. Indeed, the school is famous for what it brought to the architectural field but it is also really important in terms of an improved quality of life. The Bauhaus students were working on the creation of everyday objects that had to be functional, affordable and easy to produce (thanks to the mass production process). Nowadays, these have become ‘must-have’ collector’s items in the luxury goods industry. So, if you see a ‘design’ object with geometric shapes and primary colors, made from metal or glass which is ridiculously expensive... well, it could well be a Bauhaus- inspired object. Did you know? You didn’t necessarily need a diploma to get accepted to the school. 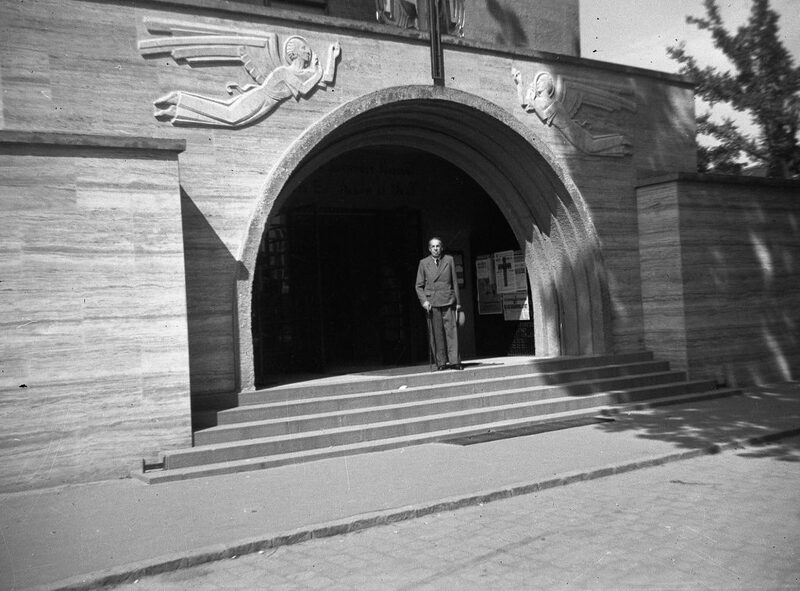 The school was willing to break the rules as a symbol of modernity (for example, students and teachers were required to write in lower case). The school was also famous for its huge and crazy costume parties. Many members of the Bauhaus were forced to leave Germany after the Nazis shut the school down. They weren’t allowed to work in the country anymore. There are many paradoxes within the Bauhaus school that tarnish its image. For example, even though women were accepted as students (more than in other schools) they weren’t well-respected and most of them followed textile lessons. Budapest100 is a spring weekend celebration of the people and buildings around us. The event was founded in 2011 by the Open Society Archives and the KÉK Contemporary Architecture Centre. Budapest100 emphasises the common values of the city’s inhabitants and aims to bring together people from varied backgrounds in the preparation of the event.